Mulch can help shade the soil from the sun, helps retain moisture and helps prevent weeds from growing. In the off season, mulch can be used to cover and protect your flower garden. 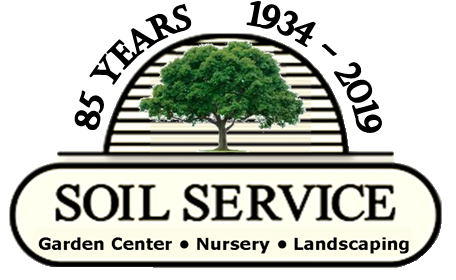 There are many types of mulch available at Soil Service – bagged for you convenience! Southern Cypress Mulch: Our most economical mulch option, cypress mulch resists rotting and has an attractive light blond/brown tint aging to a soft grey. Natural, non-dyed. Dyed Red & Brown Mulches: Soil Service carries pressure-injected dyed mulches resistant to leeching compared to spray-dyed mulches. Avoid the stained walkways and driveways with these mulch options. All-Bark Cedar Mulch: Trying to mulch a hill side? 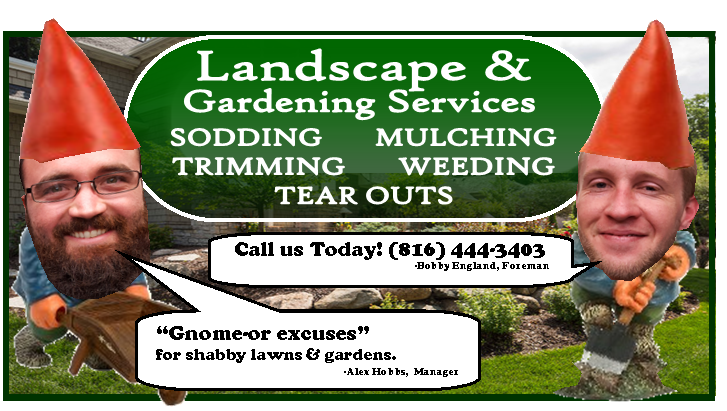 Tired of your mulch blowing, running, or floating away? There is a simple solution to these problems, All-Bark Cedar Mulch! This fibrous mulch not only stays where you put it, it hardly leaves at all! This mulch is a beautiful, rich, natural brown, finely shredded to make you life a little bit easier! Pine Bark Mulch: Available in Small, Medium, or Large grade nuggets. Creates a very attractive, natural woodland look. Simple installation as this mulch is easily raked & is suited for flat, sheltered sites. Great for annual, perennial, & vegetable beds where continual pulling back of mulch for new plantings is a concern. Large bark measures in at ~3-4 inch chunks, Medium bark is 1-3 inch chunks, and Small bark is ½-1½ inch chunks! Coco Shell Mulch: Did someone say Chocolate?! We certainly did! Let me introduce to you this wonderful smelling mulch, Coco Mulch. Coco shells have been harvested for your pleasure! Sit and relax next to this mouth watering aroma of Coco Shell Mulch! Naturally colored dark brown with a red tint, this finely graded mulch is great for any bed and even better for the chocolate lovers! “Soil Pep” Shredded/Composted Pine Bark: Soil Service’s own special blend from the mulch farm. A favorite of our customers! This unique, natural, composted pine bark offers excellent conditioning to your garden beds, flowers and vegetables alike! The fine grade of the mulch offers a quick entrance into the compacted clay soils in our area. This helps to loosen the soil for better water drainage and root growth! Being a composted pine bark, Soil Pep is slightly acidic making it a wonderful choice for vegetables. Not only does Soil Pep work as a “Mix into the soil” mulch, it can also be used as a top dressing. It has a beautiful, dark, natural color that is almost black in color. For whatever your needs, fresh plantings or top dressings, Soil Pep is the mulch for you!